For further information or to get in touch please click on the 'contact us' page. Why not leave a comment on our Guestbook page? We are pleased to announce the appointment of Reverend Jim Mullin as our new Pastor. 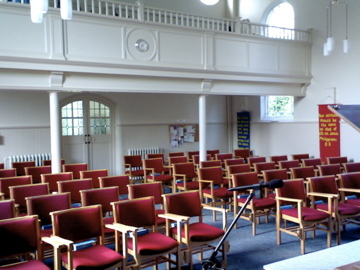 Jim will also be the pastor of our partners, Market Bosworth Free Church. A friendly village church, we are in membership of the Baptist Union of Great Britain and at the heart of the Leicestershire village of Desford. There is ramp access to the church and toilet facilities are also available. Our aim is to reach out into our community and to show the love of Christ. and other events as well as Church Services each Sunday at 10.30 am. You may be interested in a 'Church Memories Book', which is priced at £8 and provides a fascinating account of both the Chapel and its people. If you would like to purchase a copy please phone 07502 973361.